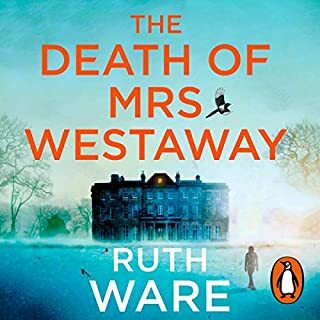 Random House presents the audiobook edition of The Death of Mrs Westaway by Ruth Ware. 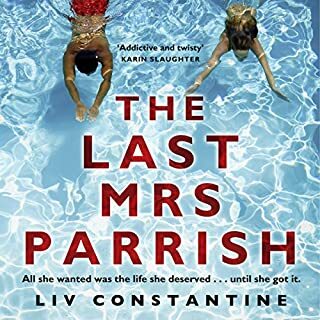 When Harriet Westaway receives an unexpected letter telling her she’s inherited a substantial bequest from her Cornish grandmother, it seems like the answer to her prayers. She owes money to a loan shark, and the threats are getting increasingly aggressive: she needs to get her hands on some cash fast. I thought that this would be a “rags to riches” tale, but it was far more than that and had some twists I hadn’t seen coming. Warmly recommended! When a sniper leaves Ben Hope's friend fighting for his life, the former SAS major declares war on the men responsible. But what begins as a straightforward revenge mission gets complicated when a mysterious letter reveals Ben to be the real target. And his isn't the only name on a crazed killer's list. Professor Anna Manzini has no idea she's in grave danger from a man she'd thought dead. 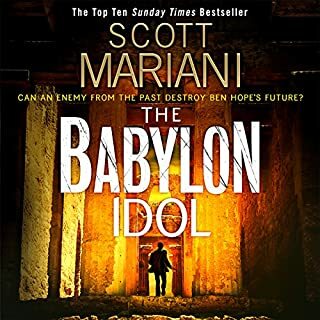 She's on the cusp of a major discovery: the location of the lost Babylon idol, a golden statue of immeasurable value. Another good Ben Hope adventure..
As gripping as its predecessors in the series, this story sees Ben Hope chasing from Europe to the Middle East in search of an antique relic which of course has others seeking it as well ... I’d love to encourage Audible to edit out Colin Mace’s swallowing after every few sentences, though! 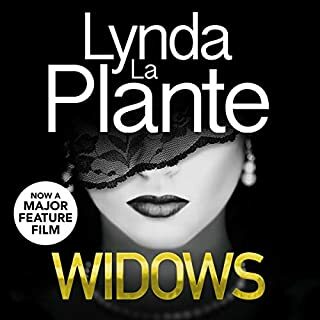 An amazing story by Lynda La Plante lifted to another level of unbelievable by the superlative narration by Ann Mitchell. Thriller meets psychological drama. 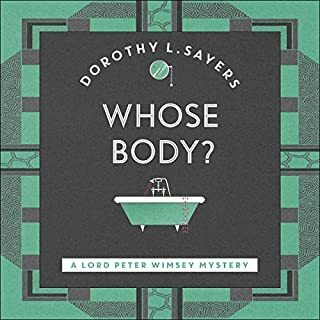 The Peter Wimsey stories need no introduction to cognoscenti oh Golden Age crime; if there is a weakness in this one it would be for me the lengthy confession in which the murderer describes his modus operandi. 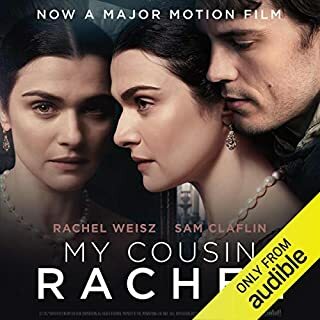 I think a male narrator would have been preferable, and there were some avoidable mispronunciation ( such as Balliol) and unexpected reading mistakes. Does anybody listen to the recordings for howlers? This book has a amazing twist in the plot which I really wasn’t expecting! No spoilers, but I heartily recommend it! A gem of a story, beautifully constructed, well read ... I really didn’t want it to end! It begins with the stealing of a handbag and ends quite perfectly a few hours later. The plot line is taut yet not predictable. Do listen. I read this book when younger but had forgotten much of the detail. Jonathan Price’s reading of it is masterly; he uses a very Italianate “t” consonant which is of course most effective here. This is without doubt one of the best Audible recordings to which I have listened. Lizzie, the only daughter of celebrated war photographer Kurtiz Ross, went missing four years ago. 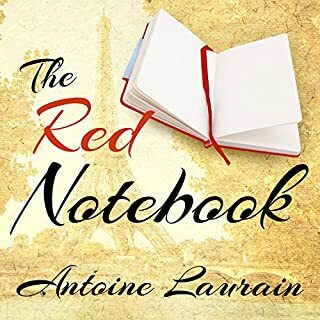 Kurtiz and her ex-husband, Oliver, arrive in Paris following an unconfirmed sighting of their daughter. Oliver rushes to find her while Kurtiz waits, praying for a reunion. As sirens wail, Kurtiz finds comfort in Marguerite Courtenay - a glamorous former actress. 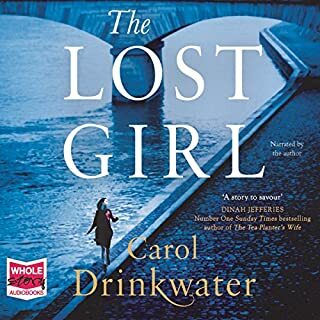 As Marguerite distracts Kurtiz with stories of her life in postwar Provence, Kurtiz must confront her own ghosts and face up to home truths. A wonderful audiobook. Sad that you have such an unfriendly format for leaving reviews; all I want to do is write a short narrative report with no spoilers, not answer long questions. 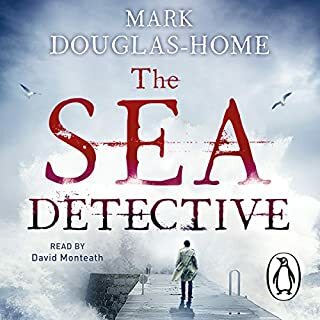 Ticks all the boxes for me; great plot and characterisation with evocative Scottish landscapes, and the fascinating layer of information about forensic studies of sea currents and marine geography. Highly recommended. Annie McDee, alone after the disintegration of her long-term relationship and trapped in a dead-end job, is searching for a present for her unsuitable lover in a neglected secondhand shop. Within the jumble of junk and tack, a grimy painting catches her eye. Leaving the store with the picture after spending her meagre savings, she prepares an elaborate dinner for two - only to be stood up, the gift gathering dust on her mantelpiece. I Loved Every Minute of It. Great Characters. Would you listen to The Improbability of Love again? Why? Possibly not, as there are so many others, and I very rarely revisit books. 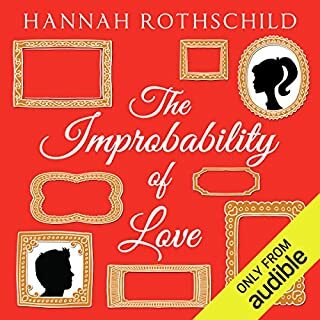 What other book might you compare The Improbability of Love to, and why? A non-fiction book called Wisdom and Strength, by Peter Watson. Amazon blurb: "Paolo Veronese's painting, "Allegory of Wisdom and Strength", has been acclaimed both for its technical virtuosity and its remarkable journey through history. During more than four centuries it has been a silent witness to great political dramas - war, abdication, revolution, and attempted assassination; and to the personal tragedies of emperors, queens, the royal dukes of France, and the corrupt cardinals of Italy. And it has belonged to some of the greatest collectors in history - Rudolf II, Queen Christina of Sweden, the Duc d'Orleans, Philippe-Egalite, Thomas Hope, and the picture's final owner, the American industrialist Henry Clay Frick. It now hangs among the Reynoldses, the Rembrandts and the Renoirs of the Frick Collection on New York's Fifth Avenue." The auction scene at the beginning where the main players were introduced to us. No, I really savoured listening to it in chunks. I wasn't sure if having the picture at the heart of the story narrate some of its own history was a good idea, but I was won over!